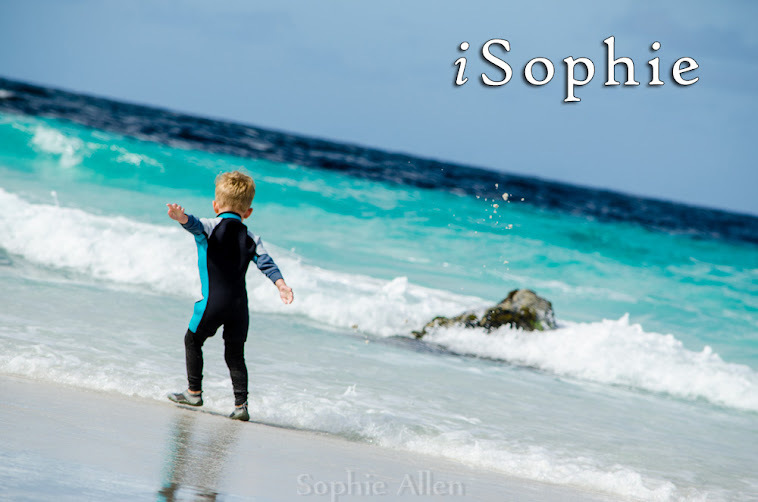 iSophie: Let's talk about Salicylates. Excuse me, what? Most people don't even know what salicylates are, let alone be able to pronounce it. Sall as in sally - i as in ink - sill as in silly – ates as in dates. They do not know what a big deal it can be if you are intolerant to them. Which Oshawott is, along with amines and dairy. This was not something easily diagnosed. In fact, it hasn't been officially diagnosed. I actually don't think there is a test for it, its mostly related to diet, but can be in many products also, like Asprin. People with salicylate intolerance are unable to handle more than a certain amount of salicylates at a time. The tolerated amount and items vary slightly from person to person. Salicylates also have a cumulative effect in the body and build up over time, this means that a salicylate sensitive person may be able to tolerate a small amount of salicylates but will experience symptoms after excessive exposure. 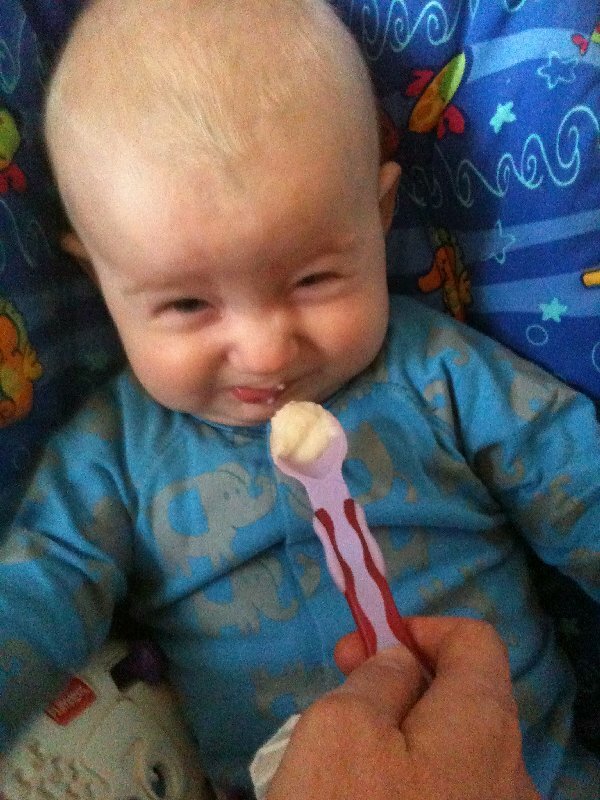 It's been a long process, looking back I can see it all started when he began eating solid foods. His first food was avocado, he vomited that back up, accompanied by some lovely big red hives on his mouth. Back then, I just assumed he was allergic and avoided it. 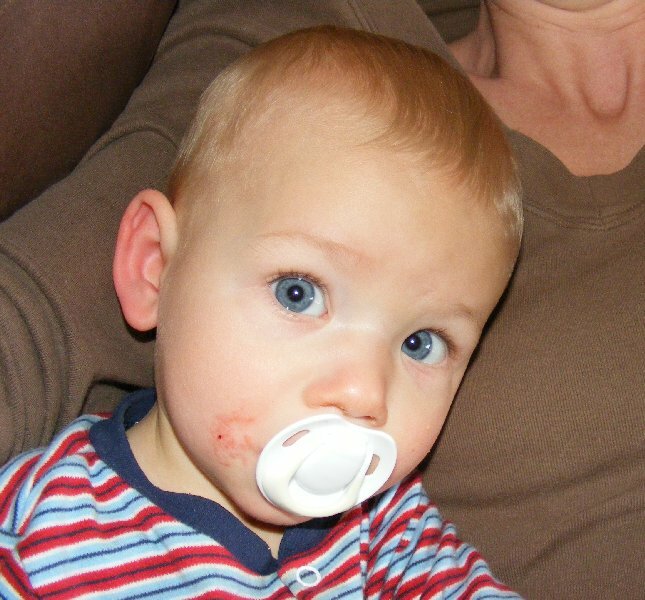 Not long after he started eating more solids, he developed a rash on his cheeks, sometimes it was red raw and would bleed. Because this was also on his legs, I (and doctors) assumed it was eczema. We had a few creams we cycled through, and along with changing the bathing conditions, we managed to keep it under control. It was when he was in hospital with pneumonia (the first time) that I started to unravel the real problem. Because he was sedated, and obviously not eating anything (his milk was syringed into his stomach through a tube), his rash was clearing up. There was no cracking, and no bleeding. His bumpy little face was starting to clear up. At this time I thought it was just banana, or more specially, latex, so it included avocado, kiwi fruit and others. 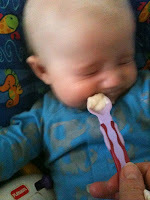 None of my boys are good eaters, they eat, but not massive quantities. Legoman is a very healthy eater, Voltorb wont eat most vegetables, Oshawott would eat so much more variety, if he could. So because of Voltorb I blend up all veggies before adding them to dinners, so the best things for that are Bolognese, lasagna, quiche, meatloaf, meatballs and risotto. I have also gone as far as to make a carrot and mushroom puree for a pizza base sauce, and our pancakes always have sweet potato in them. But back on topic. When Oshawott started to have cows milk at 12 months old, he started having restless nights, alot of wind and very messy nappies. So I trialed a non-dairy option, soy. Worked wonders! I figured that was the end of it. Easy enough, we avoid dairy and foods that have latex. This was a bit of a pain because he did (still does) love bananas. Then Pichu came along, and was extremely reluctant to eat solids. He just didn't want to even put toys in his mouth, no way would he put food in it! I became paranoid and arranged for them both to have allergy testing, once and for all I wanted some answers. 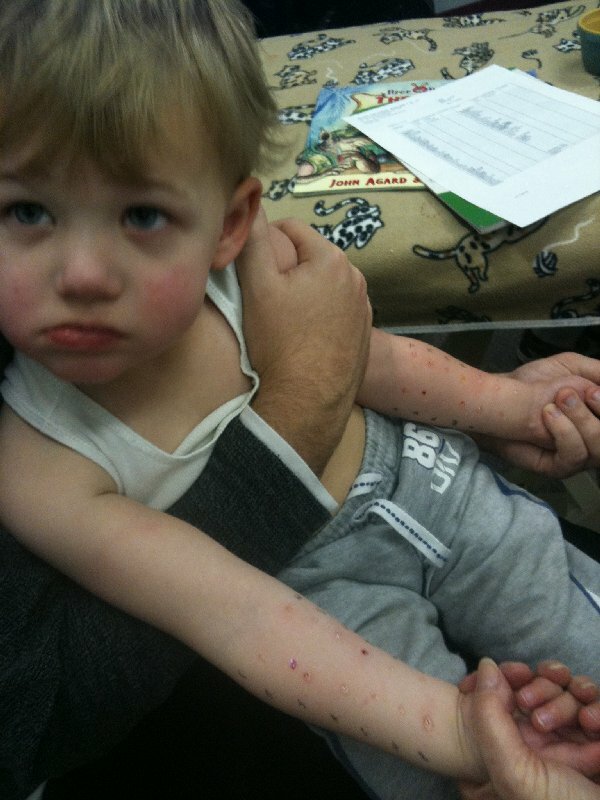 Allergy testing wasn't easy on an almost 3 year old and a 10 month old. Turned out to be a very good purchase. It was using that book that I first discovered Salicylates and Amines. I had no idea, I also didn't clue in straight away that this was part of the problem. It was a light bulb moment, an actual light bulb appeared above my head, I'm certain of it. It was around the time of the two little boy's Birthdays, actually around this time last year. My parents were visiting for our August/Sept Birthday season. One night we discovered Oshawott liked pumpkin, he ate a whole bowl of it. A little while after the pumpkin, his mouth became covered in hives. Alarmed, I had a quick search of the 'book' and sure enough pumpkin was the culprit! Salicylates build up in your body if you aren't able to process them normally, over time, the "bucket" fills up with salicylates and starts to overflow and along come the symptoms. If you don't cut Salicylates out of your diet to let the "bucket" empty the symptoms just get worse. So then a few days later we had a BBQ for Pichu's birthday. Oshawott had a sausage covered in tomato sauce, and half a cucumber. 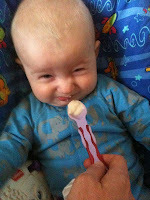 More reactions, and even on the parts of his face where he had so carefully (not) eaten his sausage. I referred to the book again. Processed meats, tomatoes and cucumbers are a no no! Opps. I felt terrible. So Oshawott can't have most vegetables, including tomato, and some of the ones he can eat have to be double peeled. He can't have most fruits, actually.. he can only have pears, or the delicious variety of apples double peeled. Preservatives are out, as are any artificial flavouring like MSG (or 'flavour enhancer' as they like to disguise it on packets). The things that he can't have are so many, it's just too many to list here. A few of the most annoying ones are gravy, sauce, most stocks, yeast extracts, honey, jams, alot of herbs/spices, vegemite! And then of course the artificial flavours and colouring. But if you want more information, this site is great. It's not just the Salicylates though, that would be much easier, he would be able to have banana's for example. They have no Salicylates at all, but they have Amines. So even if a food is low in Salicylates, I have to then check the list for the Amine levels. And of course there is the dairy aspect. He has a soy/rice milk mix as a substitute for cows milk, soy yoghurt, soy ice cream. We are able to manage his dairy intolerance by just changing those things, allowing him to still have butter, cheese and sometimes cream. The symptom list is also extensive, but luckily for us, so far, he only suffers from a handful of them, depending how much Salicylates sneak through into his diet. Here are some of the more common symptoms. The green ones are the symptoms Oshawott suffers from. It's not constant, only appearing if i've let something unknowingly slip through, or sometimes letting him have things like his brothers, that he loves and is hard to see him always missing out. He also doesn't get them all at once, often one or two at a time. One example of a reaction was during our holiday to Coolum over Christmas. We were going to Sea World! It was a very exciting day for everyone, actually no, it was very exciting for the children. Well, 6 out of 8 of them. Pichu couldn't care less where he goes as long as Mummy is with him, and Oshawott was having a bad reaction to something he ate. I think it was a sausage the night before, if it had sauce on it (which I couldn't remember) it would have definitely been the culprit. It was probably a few other factors, possibly icy poles (he can't have citrus or food colouring), or if he slipped a few cheesy goodness chips from his brother. We had just arrived, after getting stuck in Surfer's Paradise traffic for an hour, it was 11am. The kids were pumped. What to do first!? But not Oshawott, he complained of being tired and needed to get into the pram. He was very lethargic, his eyes were red, swollen and he basically couldn't keep them open. So within 10 minutes of arriving, he was asleep in the pram. He ended up spending most of the day in there and didn't go on a single ride, and saw only a handful of animals. But thanks to torrential rain starting an hour after we arrived and not letting up all day, no one else had much fun either. I can mostly keep it under control now, at worst he will get red lips, swollen eyes, go off his food and sometimes get achy joints that disturb his sleep. 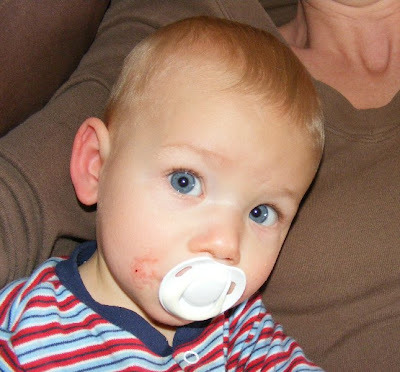 But luckily, discovering this when he was 3 is going to make such a big difference to his life, and not having to go through so much more pain before getting any answers. He is going to learn to manage it himself as he gets older. 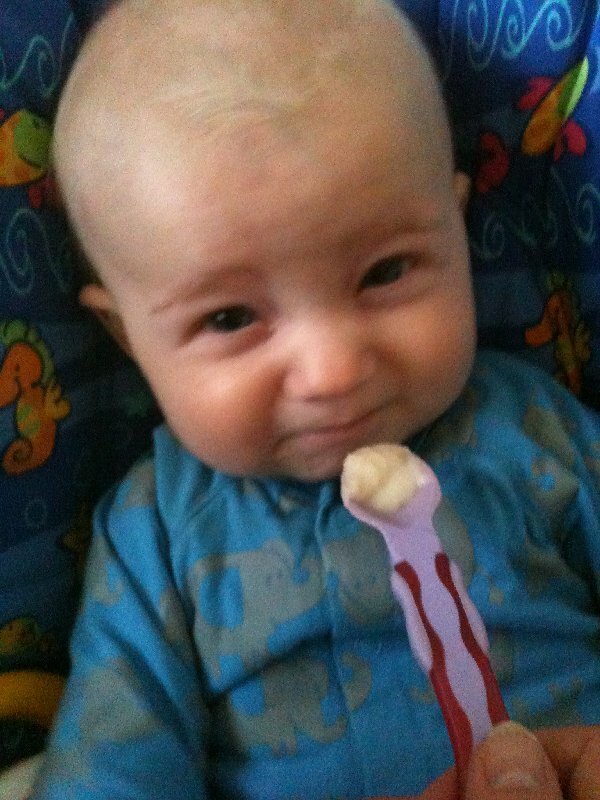 He already does ask me if he can eat things if he is unsure. He also knows he can always have a taste of something the boys have by giving me his puppy dog eyes and saying "Just one Mummy, just one?". Today I took this picture of his mouth. This was all because I put a little bit of bolognese sauce on his gnocchi last night. We had friends over for dinner and I just wanted him to feel like he could have the same as everyone else. Next time I will know better, and I should have known better. But on another day a little bit of bolognese might be ok, it all just depends on that "bucket" of salicylates in his body. Part 2: DNA hair testing for intolerances. Oh the poor thing! It must be such a struggle! I don't know what I would do in your position! Cooking lots of different meals for everyone at every meal time, I expect? I commend you firstly.. you got to the end?! So much goes on in my head regarding this and I didn't want to overwhelm or confuse people. I have learned to substitute, he can't have onions for example, so instead I will use shallots and/or leek. I can double peel zucchini and carrot. He has a white sauce on pasta and pizza usually, or just cheese. And woolies makes a preservative free sausage. Thanks for stopping by my blog :) I accidentally deleted your comment on today's post - I'm so sorry! I completely get the not talking about it thing, it's just so much information for people to take in. Even this post, for most people, will be way too much information. But I hoped I would find some other people (like yourself!) that suffer from this. I actually have 4 boys, so the meal cooking is a bit tricky, but we are managing. And so far (touch wood) the youngest hasn't shown the same intolerance's. He was just a really slow starter with foods. We have intolerance's to wheat and sugar but can handle a little dairy- not too much though. It's no fun when your kids are sick or reacting to what they eat. Good luck with your journey! Sugar and wheat sound like they would be really hard, especially if it includes the sugar in fruits. I can't even keep straight the list of favorite foods for each of my kiddos. I don't know how you manage! Wow! Hopefully something he'll outgrow? How fantastic that you have unraveled the mystery. I don't think he will outgrow it, but just learn to live with it and understand how to interpret his symptoms to know how far he can 'push' it. Poor little fellow. Its hard enough getting kids to eat good healthy foods without having all those hurdles to deal with. I hope you are coping ok. I have avoided doing the full testing for salicylates on Master 5. 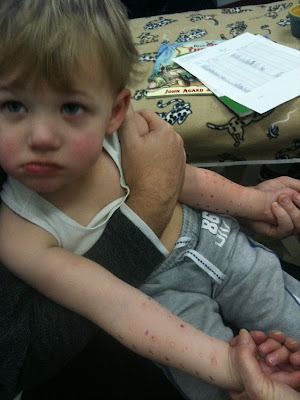 He's due for allergy testing soon... but his symptoms follow all of this. *face palm* I should have tried it before now! Oh it must be exhausting! I have a friend with a child with these types of allergies, and it surprises me she can cop anything! Good on you for working it out though! I don't have the Amines side of the Salicylates family but I do have a few others. It is so difficult to stay on top of, and that is for me, heaven knows how I'd cope if it were my child that I was watching going through it. Going through it first hand, I would never wish it on my worst enemy. It is so frustrating to be able to handle a slice of tomato, but then you push the boat out and have lasagne (tomato, spinach, mushrooms and parmesan) and I am out for the count for at least a week! I know there are worse things out there to have, but this is also incredibly hard to live with and heaven forbid you do accidentally do imbibe something, it is completely debilitating.